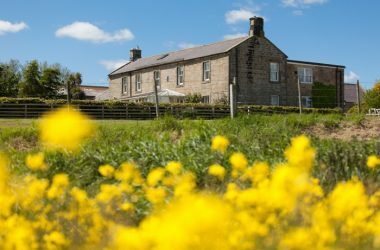 Welcome to our 4 star SILVER Award-winning bed & breakfast accommodation on the river estuary in Alnmouth on Northumberland’s Heritage coast. 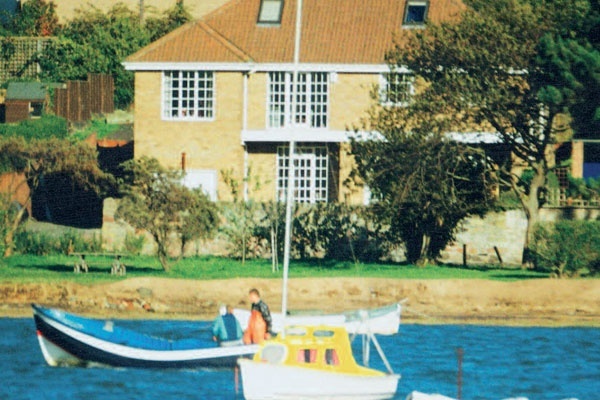 Janice invites you to stay in her spacious Georgian style home, situated by the waters’ edge of the beautiful Aln Estuary, with breathtaking views of the river with its bobbing boats, and the surrounding countryside. Whether as a centre for exploring or for a relaxing holiday, Alnmouth suits all tastes and moods and is ideal for all age groups and perfect for reflecting on the beauty of this unique village and the wonder of the picturesque, ever changing coastline, together with the warmth and friendliness of the Northumbrian people. Most bedrooms are en-suite and have hospitality trays, colour TVs, radio alarm clocks and hairdryers, and have been recently refurbished to a very high standard. Some with Tester and Crown Drapes and antique furniture. The bedrooms comprise of one single, two doubles, two triples and a further two have zip and link beds, which can be either twin of super kingsize. Three of the bedrooms are ground floor and one of the triple bedrooms has a verandah facing the estuary. 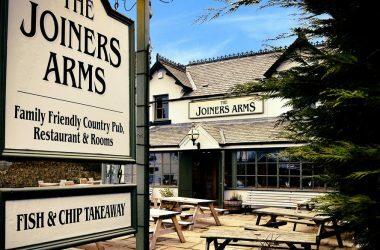 A large choice on our breakfast menu includes a wide selection of starters followed by either a hearty English breakfast, fish alternatives (including the famous “Craster kippers”), continental or healthy options and fresh fruit. Janice and her chef son Paul, are renowned for their traditional and imaginative gourmet cuisine, using fresh local produce, with glorious desserts to spoil you. The evening meals consist of four courses, followed by tea or coffee and dinner mints. Panoramic views are enjoyed from our antique furnished dining room and lounge, which is very spacious and boasts French windows opening onto a large verandah, where the tea and coffee are served during the summer months. 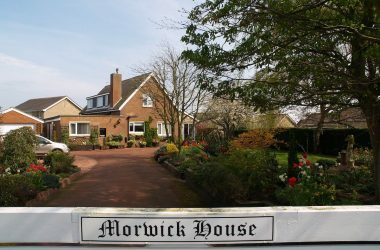 We possess numerous Alnwick District Council Hospitality Awards, Most Popular Hotel/Guest House and Galloping Gourmet awards and Overall Contribution to Tourism Award. We have a private car park and a disabled ramp to the front door and are situated yards from the lovely sandy beaches of Alnmouth. We are close to both nine and eighteen hole golf courses, squash courts, river and sea fishing and pony trekking. A new leisure centre and gymnasium are just four miles away at Alnwick. Westlea is the guest house visitors return to year after year. Please note: For an instant response please telephone as an Email reply may take a while. Bedroom Details: 3 double en-suite bedrooms, 2 twin en-suite bedrooms, 2 triple en-suite bedrooms. 3 bedrooms are on the ground floor. Pricing Details:: B&B - Winter from £30 - £40 pppn Summer from £40 - £45 pppn Evening Meals £21 pp.